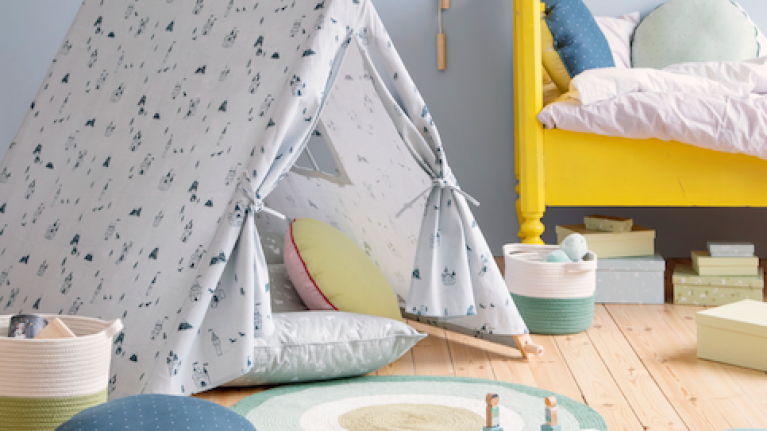 We admit it – we are pretty much obsessed with Søstrene Grene and their Scandi chic interiors and homewares these days, and if you have got little people living in your house, you are about to love their latest collection too. 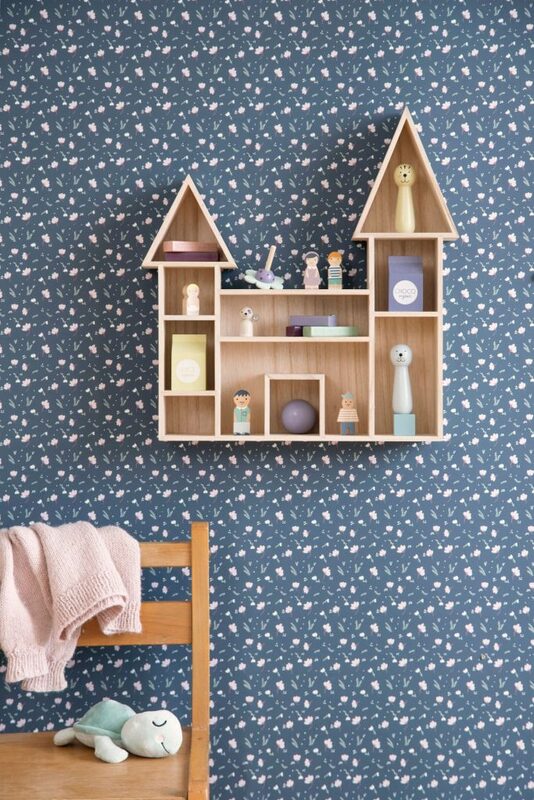 In just a couple of weeks, on May 2nd, the Danish retailer will launch a new safe baby care line and interiors collection for children, and trust me, you are about to want to buy the whole lot. 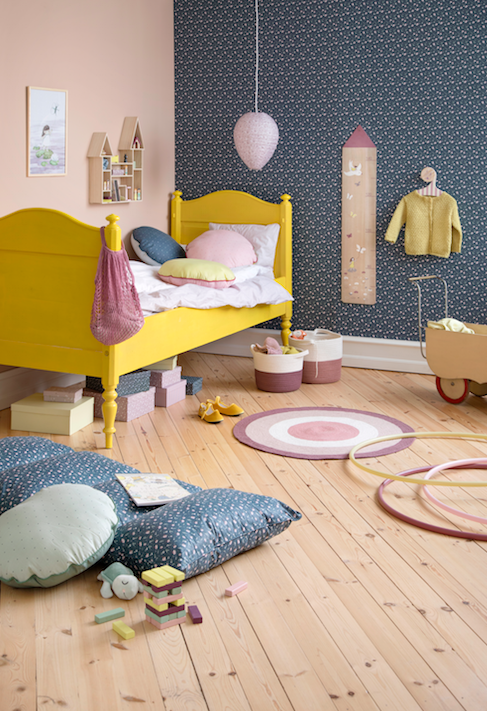 The new collection will be available in all Søstrene Grene stores, and will include a new highchair for children, tents, floor cushions and other fairy-tale inspired interiors items. Søstrene Grene has designed a highchair for children (€27.40) who are too big for a baby chair, but too small for a grown-up chair. 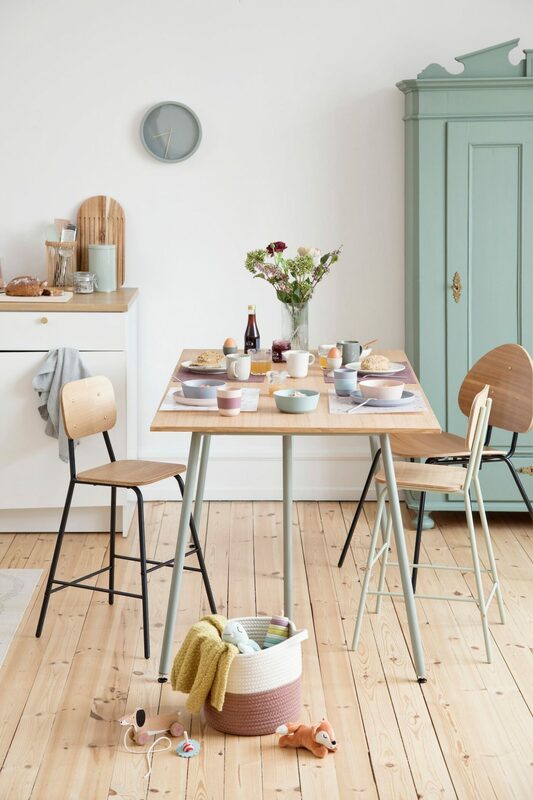 The design is simple and Nordic, and softly styled for a welcoming feel. The company call the design simple and honest since all parts of the chair serves a purpose; nothing is hidden. The stylish metal frame supports the simple wooden detailing on both the seat and back, letting the children dine in style, and the footrest ensures a comfortable sitting experience. 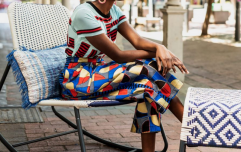 The chair has a seat height of 52 cm, and the four brass-coloured metal screws were added to bring the design together and add a characterful look. 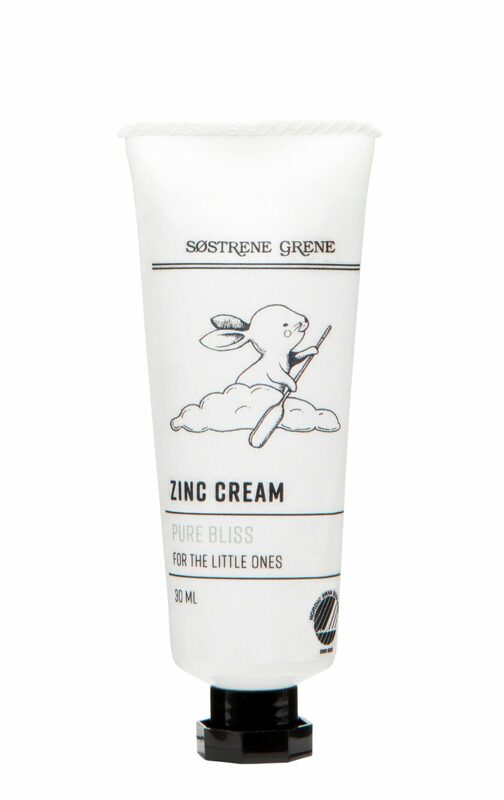 As well as the kids' room collection, Søstrene Grene are also, for the first time, launching a clean, safe baby care line, consisting of baby bath soap, a baby shampoo, a baby body oil and a baby zinc cream. 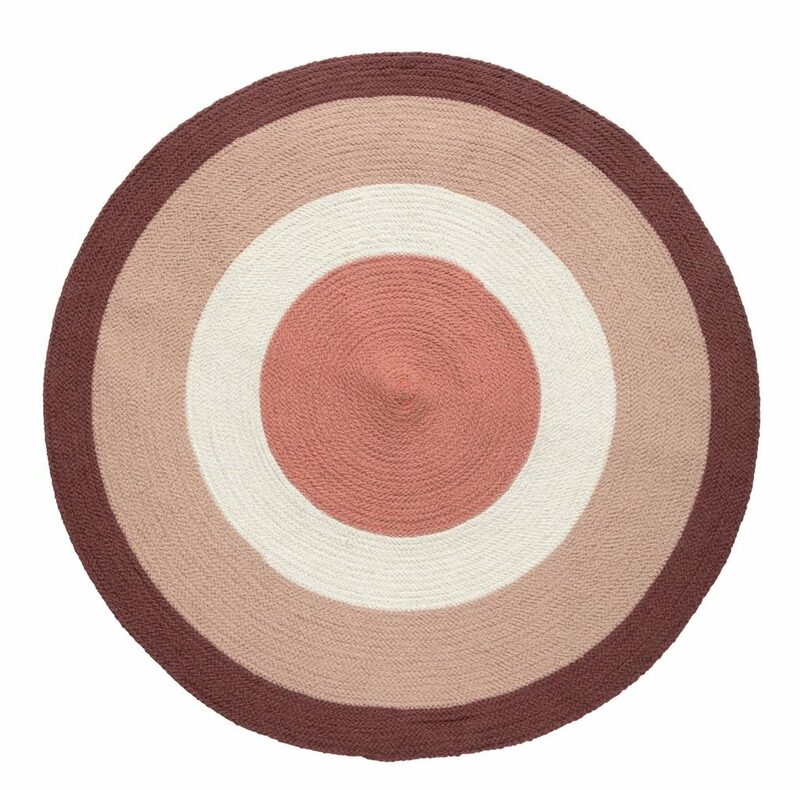 The entire line is produced in Denmark and on the packaging of each product there will be different labels which confirm that the products meet stringent requirements and are a safe choice for you and yours. The new care series is without perfume, and comes recommended by Asthma Allergy Nordic, a collaboration between the asthma and allergy organisations in Norway, Sweden and Denmark. 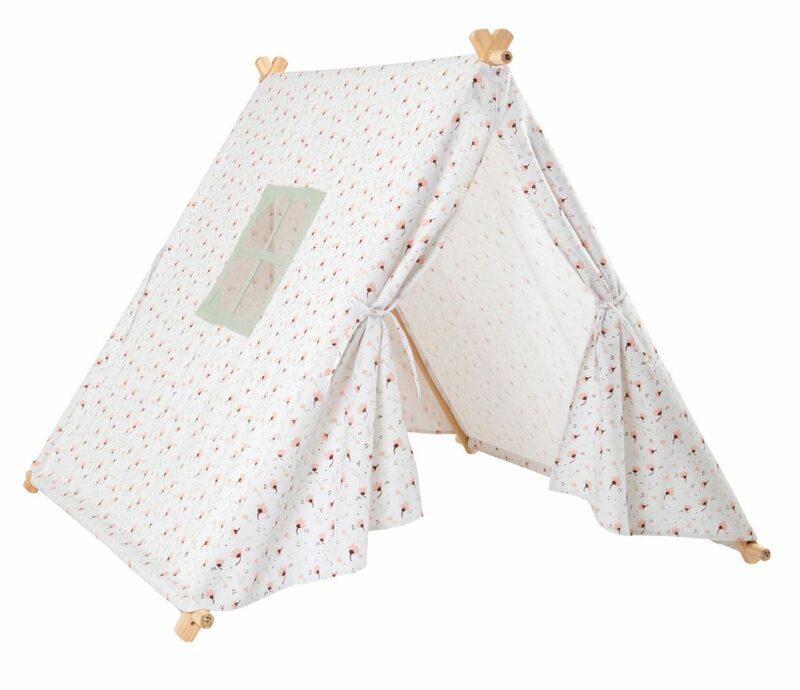 The Søstrene Grene baby care products all carry the new, shared Nordic label. When a product has this label, you can be sure that the product contains no perfume and that the Asthma Allergy Nordic has done a critical assessment of the recipe. "All the products from the bath and care series for babies also carry the Nordic Swan Ecolabel, which is the official Nordic environmental label. When you choose a product labelled with the Nordic Swan, you help reduce environmental impact. The Nordic Swan Ecolabel means that the product lives up to the strict environmental requirements throughout the product’s entire lifecycle and that it limits the use of chemical substances that can be hazardous to the health. All the bath and care products are registered at The Vegan Trademark, which means that the products have been tested responsibly and in accordance with the EU regulation on cosmetic products. Also, they contain no animal-derived ingredients. The products also carry the Cosmos certification, which is a European standard for cosmetic products. The Cosmos certification guarantees that products are made from natural ingredients, showing respect for the environment and without the use of GMOs in producing the raw ingredients." 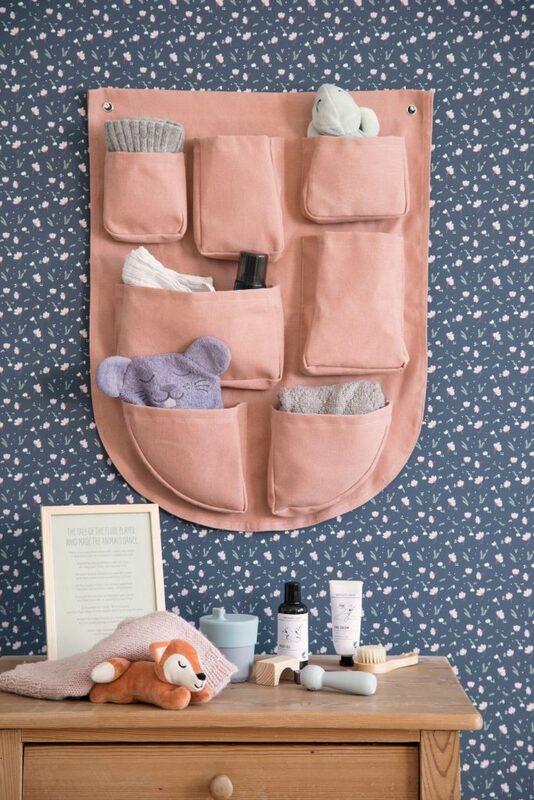 The bath and care series for babies and all the interiors novelties from the collection will be available for sale in all Søstrene Grene stores from Thursday 2 May 2019 and while stocks last.